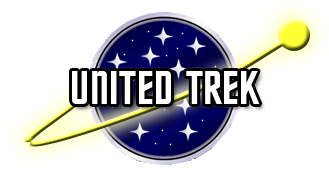 United Trek is a group of fan fiction writers who came together on TrekBBS and who have decided to share our characters and storylines to create one unified, yet at the same time diverse, setting existing within the universe of Star Trek. As work progresses on the site, we hope to bring you more than just our stories. We now have a forum and we’re looking to do more. IDIC: Infinite Diversity through Infinite Combinations. That is what you will see in our stories. So enjoy and keep coming back as the ships and characters of United Trek continue to explore strange new worlds!